In the last 12 months I’ve crossed the Pacific Ocean four times and circumnavigated the globe once; moved from Washington DC to Melbourne, Canberra, back the US, to Norway and back to Canberra. But in between all that airport time I made some comics, edited some comics and talked about comics. Here’s the deets, y’all. Little Big Politics – This is my ongoing semi-regular strip about tiny and not so tiny political histories. Save The Children Poster – I made a cartoon poster of the UN Convention on the Rights of the Child for Save the Children Australia. 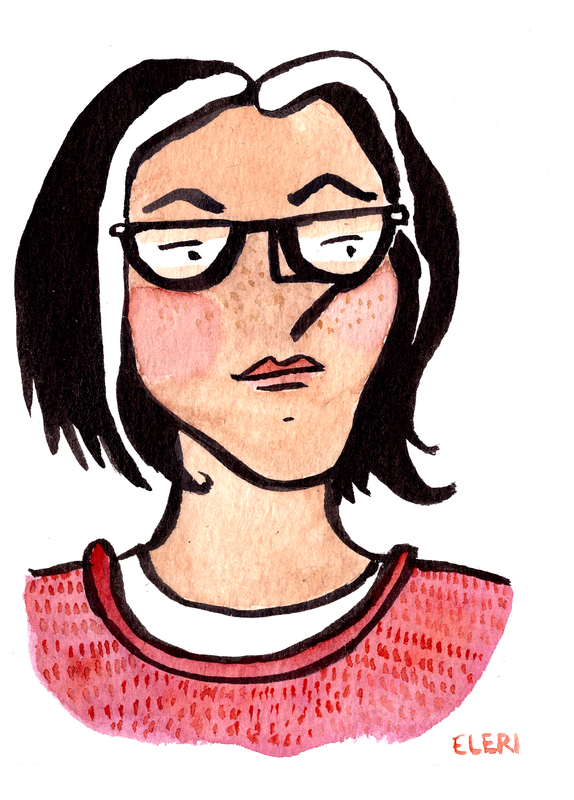 Associate Editor The Nib – From May 2014-15 I was the Associate Editor of The Nib, a comics publication at Medium.com that focused on putting out good quality words with pictures. My role was mostly in editing the non-fiction long form comics work. We launched a successful Kickstarter in July to produce an anthology ‘Eat More Comics’. The book will debut at SPX later this month. TCAF – This year I was lucky enough to exhibit at the Toronto Comic Arts Festival, which was an amazing experience. On top of spruiking my wares, I also moderated a panel on non-fiction comics online, another on international comics and participated in a panel on cities in comics. I’m so grateful to have been a part of the show and I really hope I’ll get the opportunity to go back to North America for more events like this one in the not-so-distant future. Women By The Numbers – For International Women’s Day I illustrated some stats on women as part of an excellent package of comics by female artists. More Appropriate Australian Flag – In response to Fiji’s international flag competition. Live Drawing the State of the Union – I drew some birds. Blue Water – I live drew the Sydney to Hobart Yacht Race. Holiday Designs – From nutcrackers to marzipan pigs, I made five illustrated pieces on different seasonal objects from around the world for re:form. We’re Going On A Bear Hunt – This long-form comics journalism piece appeared on The Nib and took me about 100 years to draw. The piece looks at the practice of using bear hunting to control black bear populations in New England. Nirvana – A short non-fiction comic detail the time Nirvana fans destroyed the ANU bar in Canberra. The Utopian City That Wasn’t – Probably my most popular piece ever, this history comic looks at the story of Walter Burley Griffin, the American who designed the Australian national capital.